The act of ending your working or professional career. Hopefully. Please. [email protected]???????$#%#%#????? ?#[email protected]?$?!!$!!#. Crap. CRAP. Seems pretty accurate, right? If I've learned anything from my 27 years on this earth, it's that the traditional dream of retirement doesn't seem all that appealing to me. Our parents slaved away for their entire lives to get a slice of freedom in their old age, just to have the rug pulled out from under them. It's like getting argyle socks for Christmas. This has had me thinking a lot lately – What do I want MY retirement to look like? For me, it's a little complicated. When you work for yourself there isn't a pension plan or 401k to depend on. I have an IRA that I'll contribute to and Social Security (not counting on it being there honestly), but I don't get the power of a 401k employee match. I don't really want to retire the standard way anyways. I want my retirement to look like freedom, but not just for the last quarter of my life. I think it would be cool to live in a form of retirement. For the average Millennial, I'm not so sure that traditional retirement seems like the way to go either. It seems like Millennials are always searching for a traditional retirement alternative. There are actually a lot of retirement ideas that I've seen from other young people that seem really really cool! 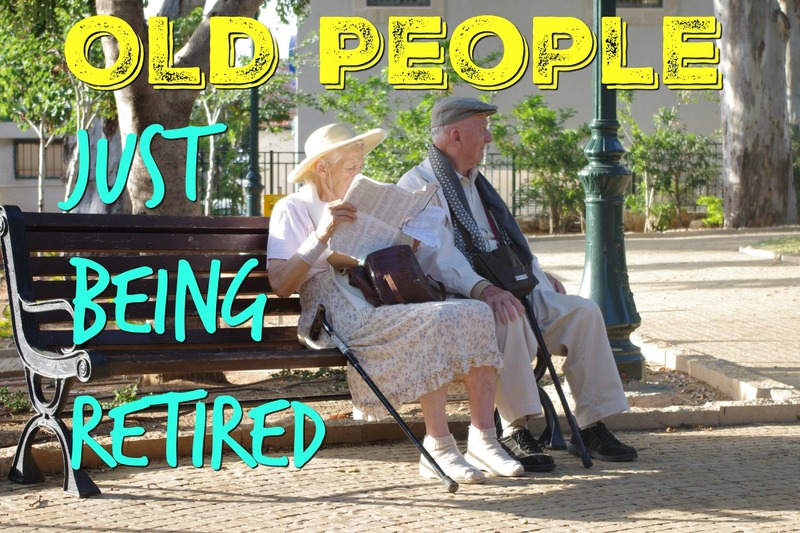 The underlying theme in the new-school ideology of retirement is to get the heck out of the 9-5! I used to work 70-80 hours a week making much less than I do now. Now I work a fraction of the hours and have TIME to do the things I want…for now at least. I feel retired even though I'm not at all. Retirement is a funny subject. Like you’ve said the retirement lines are a little blurred for Millennials. I think that is why a lot of us have turned to lifestyle design and financial freedom. It is like a perma-retirement. We never actually give up being productive, but rather we work at something we enjoy doing, thus eliminating the need for retirement. The idea of a full blown retirement just doesn’t seem very attractive anymore. I agree! I think some of us are able to leverage the Internet and available information to make money more efficiently. It’s awesome! I wouldn’t say the traditional retirement is dead, just there is a vocal minority of millennials not putting up with it. Most are still on the path of working until 65 and hoping they have enough money saved up (most won’t). For me it was about getting out of the traditional job to work for myself (done). The real retirement is when I make so much passive income (mainly through rental property investing) that I don’t have to work ever. But I don’t care if it comes soon because 1) I’m already doing stuff I enjoy and 2) I want to spend money, not save it all. Great point, most non-blogging Millennials probably have normal lives haha! I love what I’m doing too – enjoy it a ton. Dude… It’s so awesome that you get to do what you want and make a living doing it! I envision retirement as being financially independent. That will hopefully be through a combination of (1) blogging (2) real estate rentals (3) making things (4) giving back to the community. Rinse and repeat. I could never stop working, but my ideal retirement is to work on things I love knowing I am financially free! Nailed it – financial freedom. That’s such a huge part of “retirement” to me. I love seeing how many people are creating passive income streams! For me retiring isn’t not working it’s only working when you want not because you need too. Absolutely! It’s like trying to achieve a great work/life balance – I wish it was easier to do!!!! I agree that the “traditional” idea of retirement sounds kind of boring. My ideal retirement would involve traveling and blogging.